“Two tragic events in Wellington’s southern suburbs of Newtown and Kilbirnie calls attention to the devastating consequences of inadequate health funding, including the ongoing health funding cuts, for mental health consumers”, says spokesperson, Debbie Leyland, from the Wellington based health advocacy group, United Community Action Network (UCAN). “The recent death in the Kilbirnie supported accommodation facility, Mahora House, highlights the dangers caused by continual cuts to health-based funding from Capital and Coast District Health Board (CCDHB) to community based health services” Leyland states. Mahora House was established in 1985 to support people who were being ‘deinstitutionalised’ from long-term mental health facilities and moving into community-based settings. In 2013 CCDHB 2013 withdrew funding from Mahora House. In March 2016 a resident at Mahora house was fatally assaulted by another resident. This event follows a similarly tragic event in 2009 at Te Menenga Pai, otherwise known as Mansfield House. The murder of one resident and conviction and imprisonment of another was a traumatic experience for residents, staff, friends and whanau. The Coroner’s investigation found that Mansfield House was chronically short staffed and frequently had an occupancy rate beyond capacity. The report was critical of the role of the CCDHB in its support of a facility with such high need. The Coroner stated that if the controlling health authority, in this case CCDHB, “devolves its responsibilities” to another service then it must continue to ensure ongoing audits ensure that care is delivered appropriately. In 2010 the Minister of Health instructed the CCDHB to commence a policy of clawing back savings of $60 million in a three year period. The CCDHB CEO Ken Whelan resigned stating then that he could not “cut costs any further without undermining patient care”. Many of these ‘savings’ came from restructuring funding streams to community based services, ultimately forcing many to merge, reduce the services offered, or to close. Some of the service losses in the Wellington southern suburbs have been advocacy and Midwifery services and drop-in and activity centres. 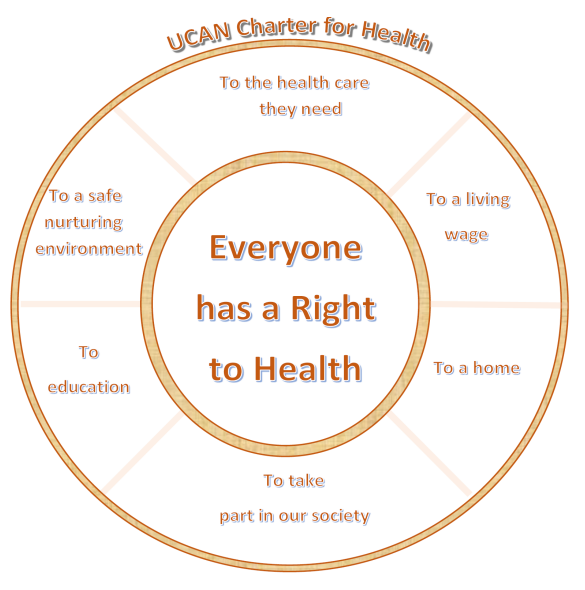 UCAN calls on the CCDHB to halt all plans to reduce funding to any community-mental health focused services and for an investigation to assess the impacts of the loss of services that have supported the health and well-being of some of the most marginalised and vulnerable within our communities. Are these on-going cuts making inequalities worse? UCAN feels the answer is yes. “Tragedies hit harder in small communities” says Leyland, “It’s no longer health, it’s Hell”. This entry was posted in Uncategorized and tagged Capital and Coast District Health Board, CCDHB, Mahora House, Mansfield House, Te Menenga Pai.